Your Pantry is the cornerstone of your kitchen. Your pantry is seen and used more often than you might think about. Whenever you have a party, it's common for guests to socialize around the kitchen. Whenever you are cooking, you may be constantly going in and out of the pantry. It's important that you take the time to get a well designed pantry that can really help you make the most out of the space, while still being really great to look at. The pantry is one of the most versatile spaces in the household and requires the most functional design to achieve seamless kitchen storage. The proper organizational tools such as shelves, baskets and drawers work together to aid in the convenience of organized food and kitchen storage. Our goal is to deliver you the best of quality, functionality and design that is available. We deliver a kitchen storage solution to make your daily life simple. Whether big or small, we create the most efficient way possible. The best type of pantry is one where everything is accessible and room for more. 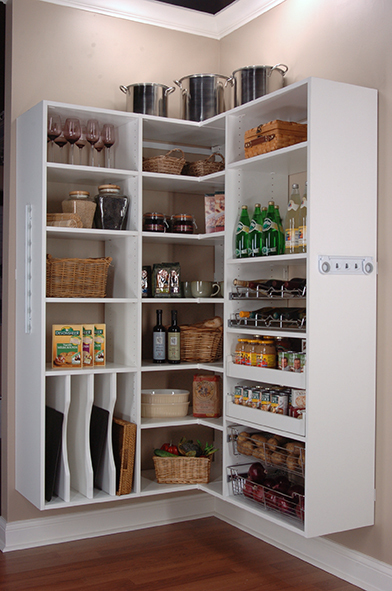 There are several difference types of pantries, walk-in, pull-out and others, all to make your daily routine easier. 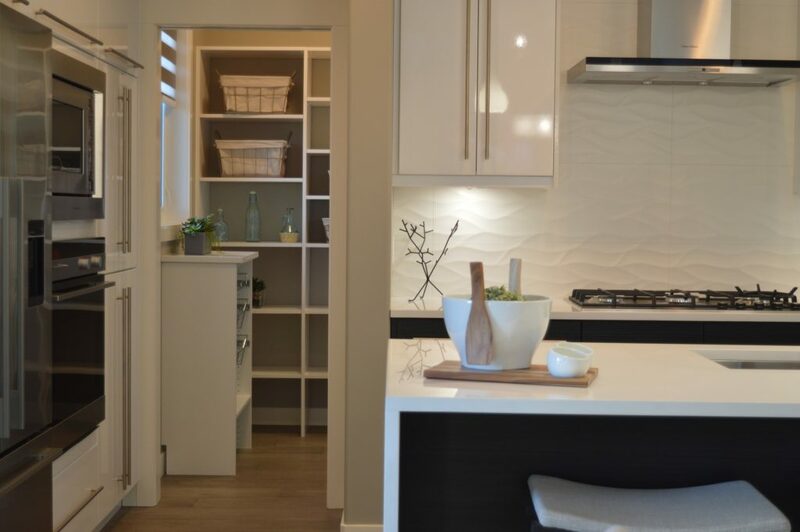 Our experienced designers know how to make the most out of any space. You will work closely with one of our designers who will craft the perfect pantry solution for your needs.